non-invasive health care and rely on the body's ability to self-heal. Sounds ideal, but how does that work? ~ Do you eat well? ~ What is your level of stress? ~ How do you deal with stress? ~ Do you have children? ~ What do you do for work? We seek the origin of the problem. Using this information, a diagnosis is made. Included in the diagnosis is the probable reason for your pain or discomfort. It is important to note that chiropractors seek the origin of the illness in order to eliminate it-we do not simply treat the symptoms. If your roof is leaking, do you simply catch the drips in a bucket for years on end, or do you repair the roof to prevent it from leaking? Similarly, if the migraine headache you've had all week is being caused by misaligned vertebra and an irritated nerve, do you continue to take pain killers indefinitely, or do you realign the vertebra to prevent the pain? You get the picture. We fix the origin of the problem. Chiropractors have a term for misalignments: subluxations. 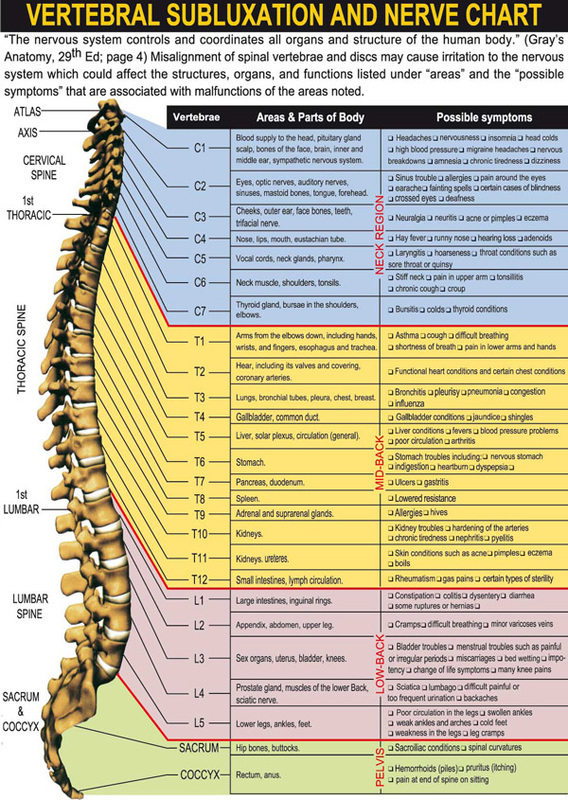 A vertebral subluxation is a misalignment of the bones that protect the spinal cord. It's a leak in the roof. Or a kink in the wiring of your nervous system. The severity of the subluxation can vary, and there are a number of potential contributing factors that can be physical, emotional, mental, or chemical. The subluxation can be caused by any number of incidents, from birth trauma to an auto accident to simple repetition or over-use. 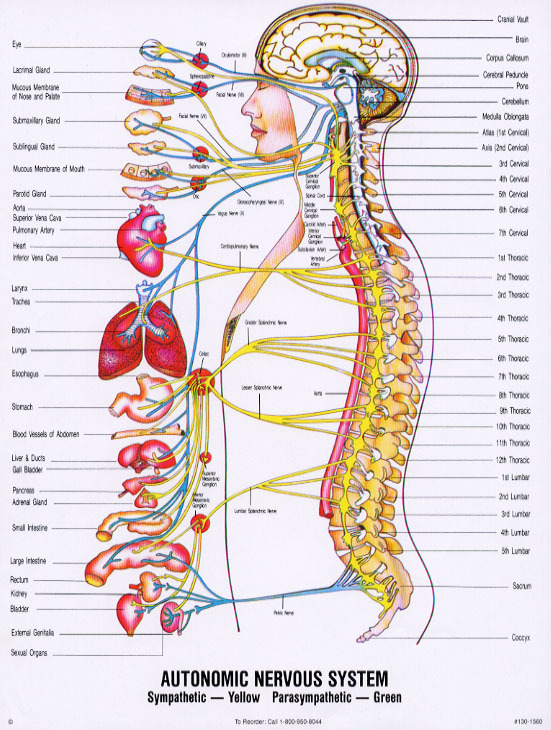 WHAT CONTROLS ALL THE FUNCTIONS OF THE BODY?